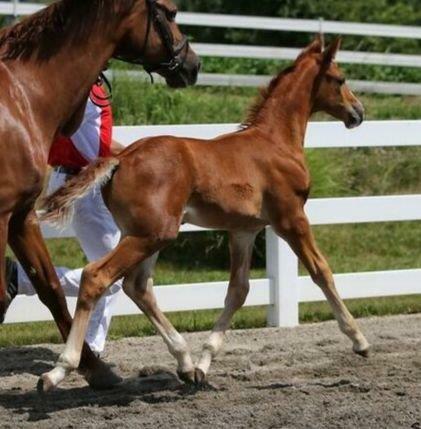 Bhracelet is a petite CHESTNUT (there I go again...) but WOW! is she a super mover! Woot! I LOVE this colt! 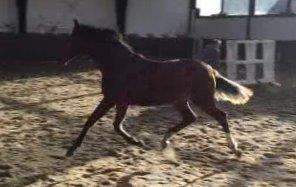 His movement is very good and his beauty is amazing. 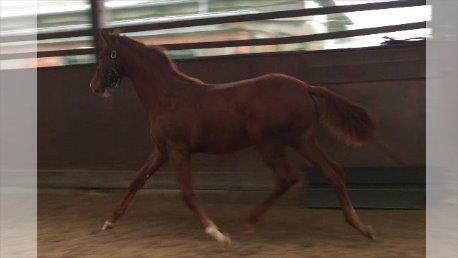 He comes from royal bloodlines and I expect he will mature into a horse that everyone will envy. 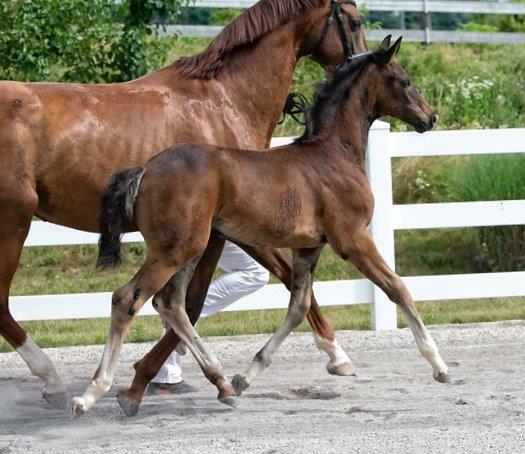 He has matured just as I had hoped- he is a very good mover with absolutely correct conformation and he is very sweet and placid in his disposition. Dhamiani has a good sit-down with a free shoulder. 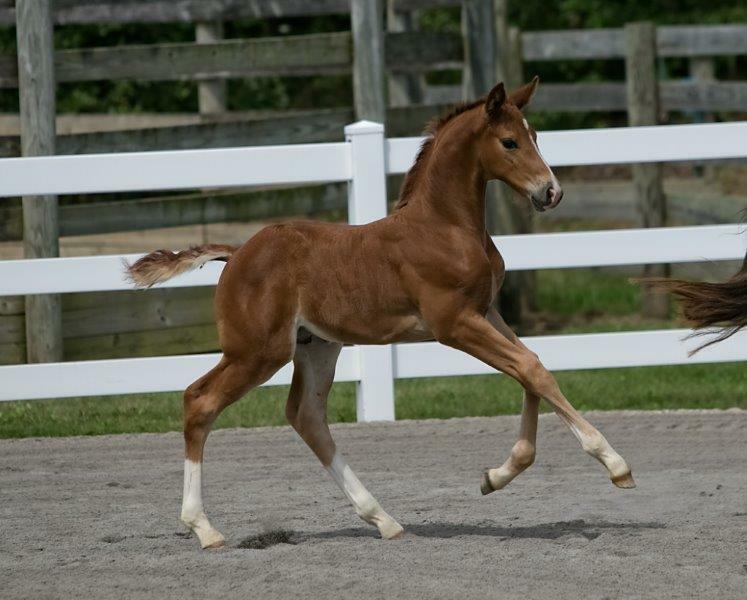 He should excel in dressage in the future, plus he has a sweet disposition. 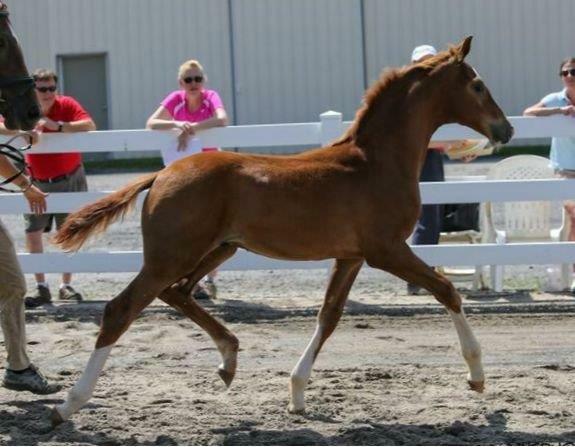 He resembles his close relative Gold Luck (his dam is out of a full sister to Gold Luck). Gold Luck stood at RSF for many years and was my heart horse. 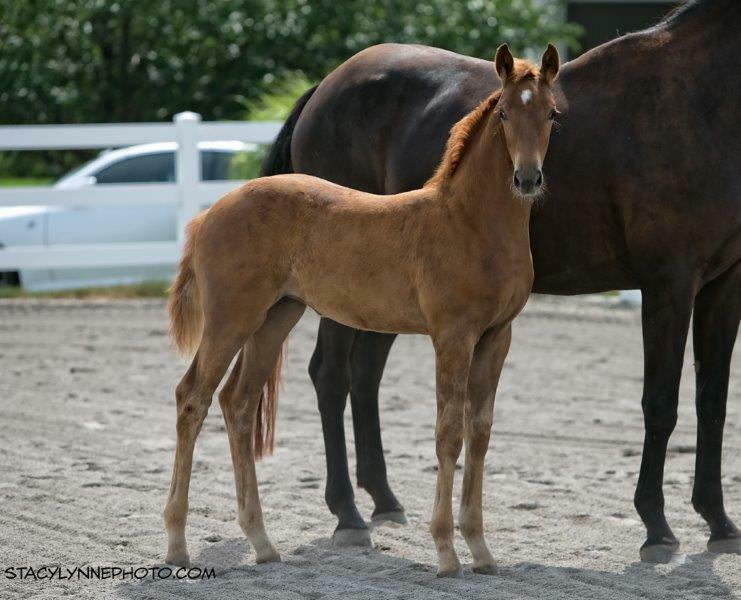 Birth report:This colt was born very quickly between evening feed and hay. Cara found him when she went to fill the water buckets. He had just been born. She found him so she got to name him! He is very leggy and really beautiful with super movement. 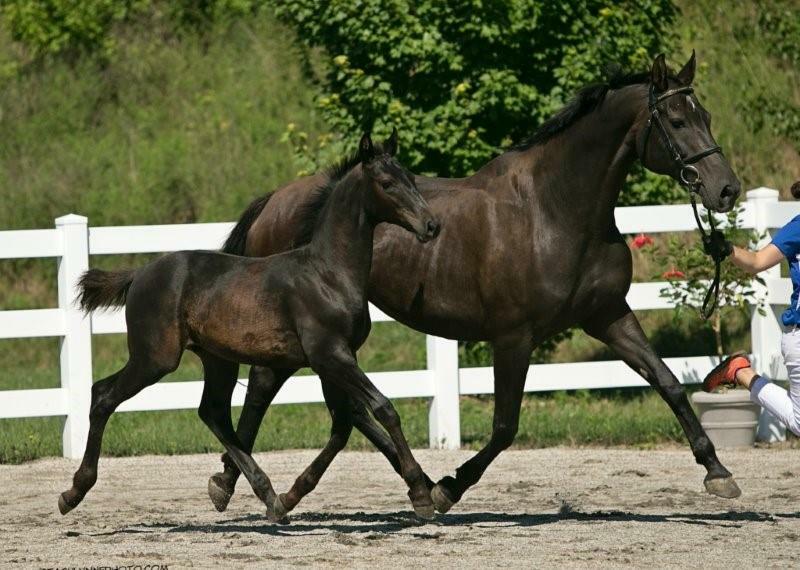 EM Regalia was a Non-Oldenburg Mare of Distinction as well as Elite Mare. 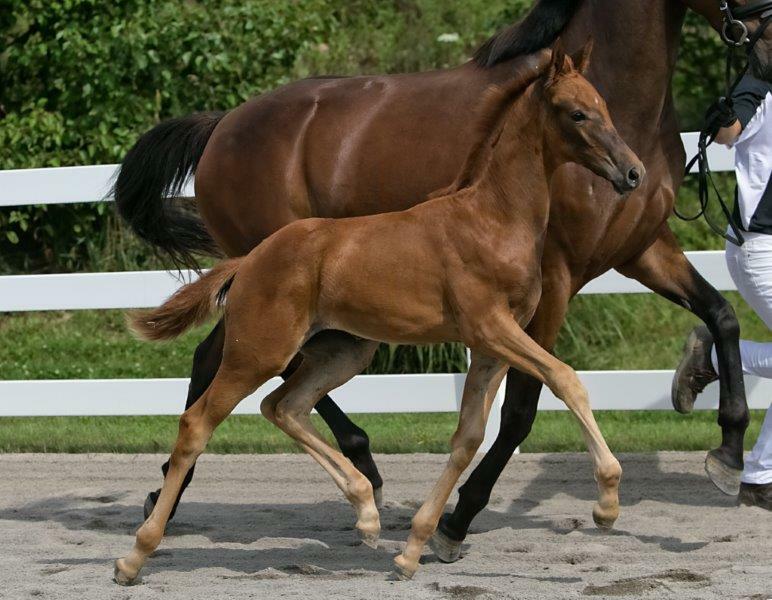 Her Elite Mare dam was a full sister to our flagship stallion, Gold Luck, and Dheputy is fourth generation from my breeding program, so this foal has a pedigree from RSF bloodlines all the way. Dhe Lorean is one of our favorite from this year. She is really sweet with a quiet, friendly demeanor. 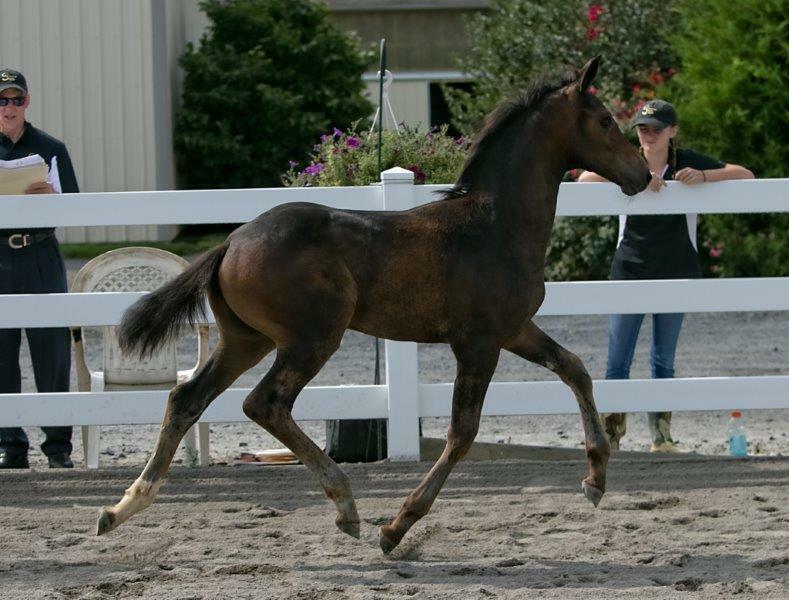 Her best day was not the day of the GOV Foal Inspection, but we think she is a really good mover any other day! 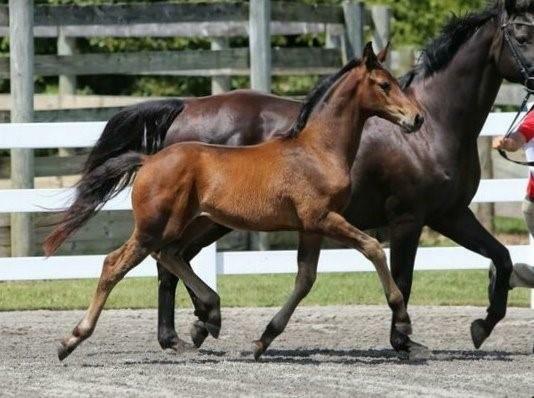 Wow, do we sure love the Dheputy foals! What a mover, with a sweet disposition! SOLD! Congratulations to Wendy Lewis of Aiken, SC! 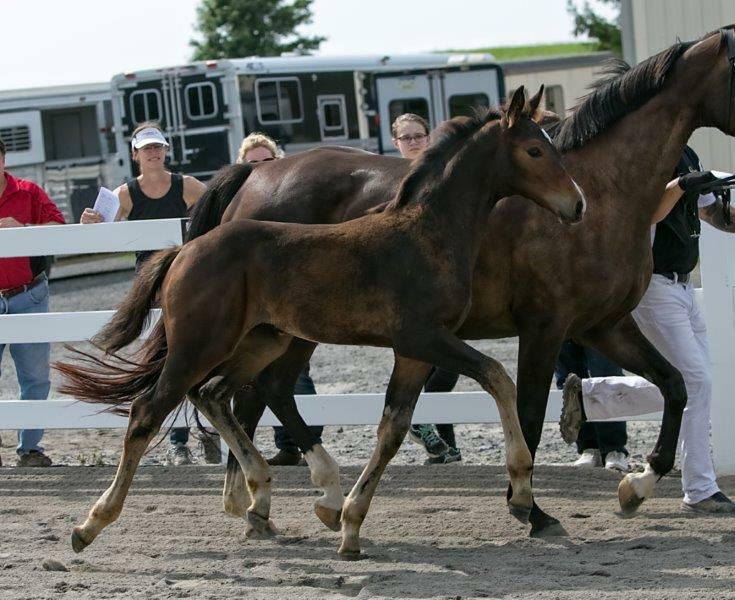 Named Premium at our inspection, he quite resembles his full brother from last year. 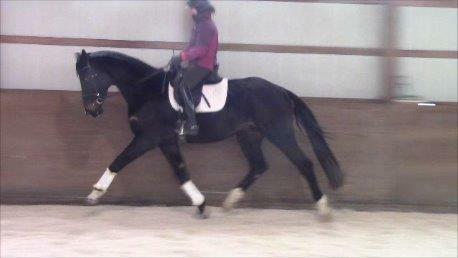 Dhesigner will be tall and a bit more on the substantial side with elegance, good movement and correct conformation. Dhetroit is a really spectacular mover (WOW!) with a super disposition. 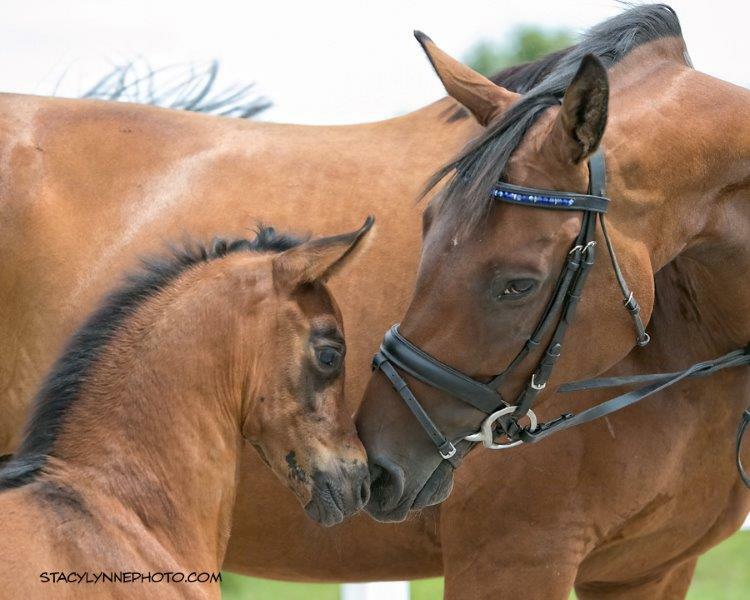 We are very proud of this 5th generation product from our breeding program and we are very pleased with the first two Dheputy foals born. 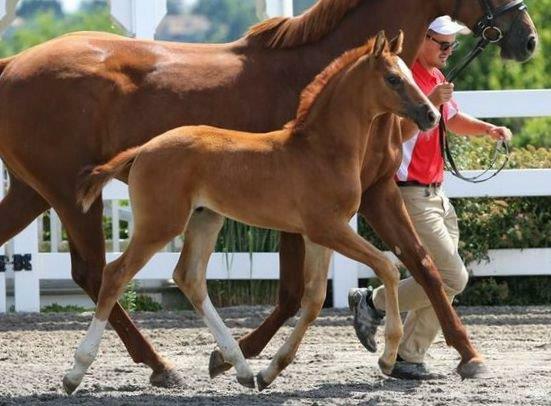 It was really cool to have the first Dheputy foal born to be named a stallion prospect!